Henry, Marguerite; Illustrated by Wesley Dennis. New York: Rand McNally, 1947. First edition of the author’s classic work. Octavo, original blue cloth, illustrated. Presentation copy, inscribed by the author on the half-title page, “comes to you with greetings from Misty and Marguerite Henry.” Near fine in the original dust jacket with a chip to the foot of the spine and wear to the crown. Marguerite Henry's Newbery Honor Book has captivated generations with its thrilling descriptions of true incidents from the tiny island of Chincoteague, and its realistic yet wonderfully magical atmosphere. This story of an animal brought into captivity poignantly reveals the powerful opposing forces of humans and nature. Over nearly five decades, Henry authored “some four dozen books that introduced young readers to animals in the great outdoors… weaving the romance and history of mankind’s association with the animal world into her illustrated texts” (New York Times). 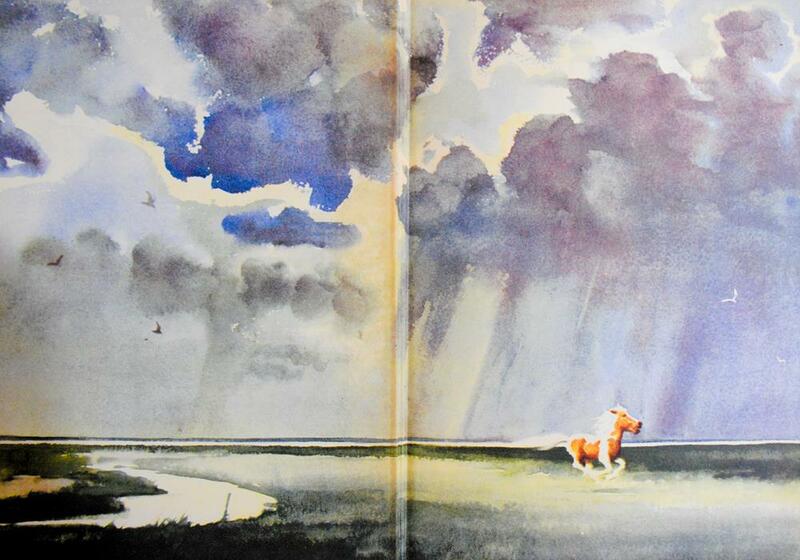 Of those books, Misty of Chincoteague is the best-known and most-loved. The delightful story, inspired by a real Assateague horse, follows the adventures of the freedom-loving colt Misty and two children who dream of owning her. First printing, with “A” on copyright page. With color endpapers and numerous in-text illustrations—many full-page, and with two color double-page illustrations—by Wesley Dennis, “whose beautiful drawings and watercolor illustrations add great appeal to most of the author’s works” (Silvey, 305). Basis for the 1961 film Misty. New York: Rand McNally & Company, 1947. First edition of the author’s classic work. Octavo, original blue cloth, illustrated. 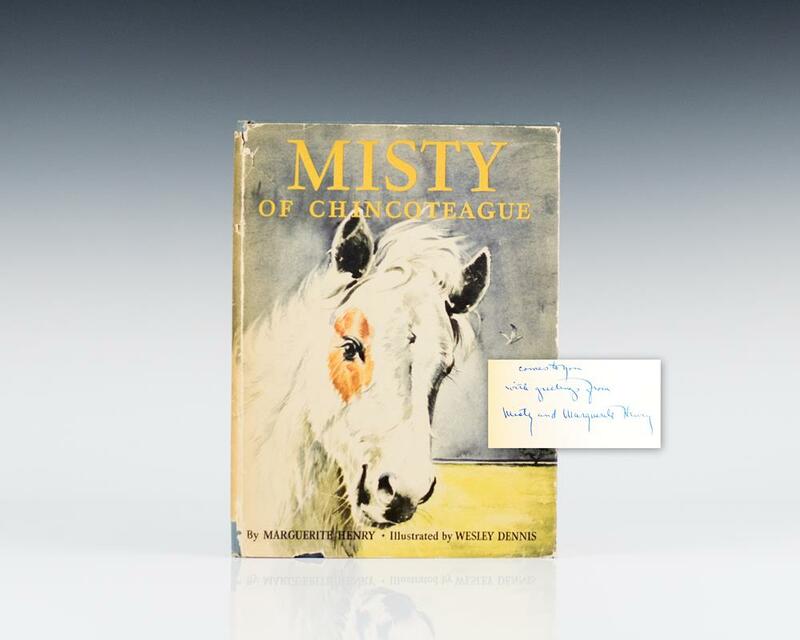 Presentation copy, inscribed by the author on the half-title page, “(Misty of Chincoteague) comes to Robert and Billie with good wishes from Marguerite Henry.” Opposite the author’s inscription is an original photograph of Misty with the words “Misty’s autograph” in Henry’s hand. Fine in near fine dust jacket. Illustrated by Wesley Dennis.